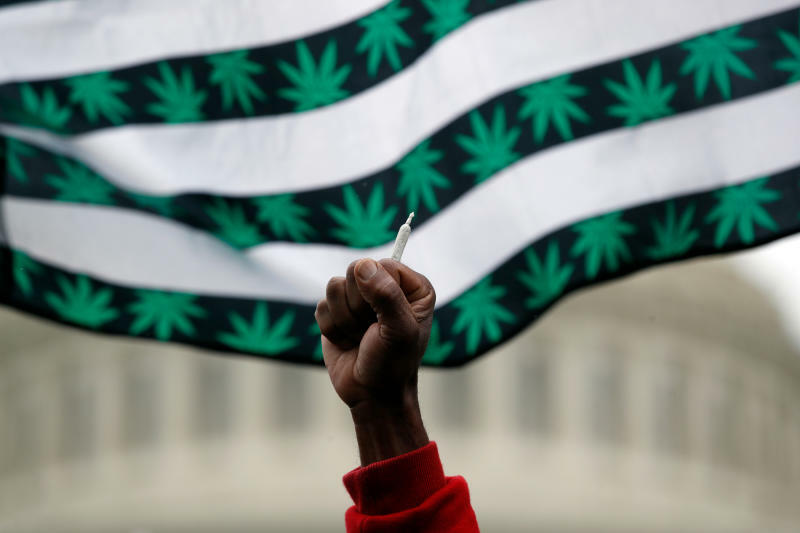 Even though Democrats have regained control of the House of Representatives, cannabis proponents, both inside and outside of Congress, still see obstacles ahead for nationwide pot legalization — but it’s clear that things are looking up. Last night, Republicans gained seats in the Senate, giving prohibitionist Senate Majority Leader Mitch McConnell even more power. But at the same time, pro-marijuana ballot initiatives passed in Utah, Missouri and Michigan — all states President Trump won in 2016. And the president has signaled that he thinks states should decide their own marijuana policies, which could eventually pit McConnell against Trump. So as a slew of more progressive Democrats won House races nationwide and tilted the pro-marijuana scales in Congress, proponents are in a more powerful negotiating position now than they were on Monday. Blumenauer, along with many Democrats, is elated that Colin Allred, a civil rights attorney who played in the NFL, ousted Republican Pete Sessions from his North Dallas district. Sessions was one of Speaker Ryan’s most trusted generals. As Chair of the Rules Committee — the arcane committee that controls which bills go to debate or to a vote on the House floor — he was able to shut down any amendments to bills that Ryan didn’t like. And Ryan didn’t want any pot bills to hit the floor, so they didn’t. They were all quietly killed in that little-known committee. Even though ahead of the election Pelosi refused to even say if she would bring marijuana legislation to the floor if she’s reelected by her peers to be Speaker of the House, getting rid of Sessions and putting a Democrat in charge of his committee alone is seen as a sea change by many marijuana reform advocates. With Pelosi’s refusal to guarantee a vote on marijuana bills, Blumenauer — who is a Pelosi ally — has already laid out his blueprint to go around her or any other Democratic leaders who get in the way of the issue that’s polling as high as 66 percent. That progressive wing of the party in the House only gained numbers yesterday, and marijuana advocates aren’t going to let up. NORML and other marijuana advocacy groups are looking to attach a slew of cannabis-related amendments to any bills they can, including spending bills, veterans legislation and bipartisan criminal justice reform proposals that maintained bipartisan support in both chambers of Congress, even before Democrats recaptured the House. With divided control of Congress coming in the New Year, and with marijuana seemingly set to sail through the House, the big question remains the Senate. But the nationwide polls showing resounding support for marijuana show advocates that the naysayers are on the wrong side of this debate. That’s why even marijuana advocates think they can get President Trump to sign a bill that at the minimum would protect any state’s right to choose their own marijuana laws.